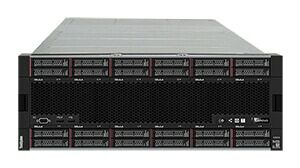 The Lenovo Reference Architectures for Microsoft Exchange Server brings state of the art mail and collaboration capability to the data center. They can coexist within the prevailing infrastructure or be implemented as standalone units. 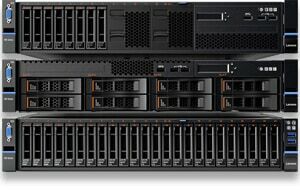 When based on Lenovo ThinkSystem servers, the architecture supports large mail and collaboration services and they enhance enterprise communication systems with performance, reliability and ease of use on a variety of platforms. Clients can move from simply communicating to a highly productive environment based on team based collaboration. With the Lenovo ThinkAgile HX appliances, IT managers can finally deliver highly scalable and responsive Microsoft Exchange services with large mailboxes – without the excessive costs and complexity of traditional shared SAN and NAS storage systems. The ThinkSystem and ThinkAgile solutions for your mission critical SAP Business Suite with any database and new SAP S/4HANA® business process applications optimized for SAP HANA give you the performance, reliability and scalability needed to ensure your business runs smoothly. The Lenovo ThinkAgile Solution for SAP Applications delivers the benefits of hyperconverged systems to SAP NetWeaver™ applications running on Lenovo ThinkAgile™ HX Series and Nutanix platform. SAP Business One® helps small businesses and subsidiaries streamline end-to-end processes to accelerate profitable growth. SAP and Lenovo work jointly to ensure compatibility with SAP applications and Lenovo Systems. SAP requires that each hardware vendor certify their servers for use with the SAP Business Suite and SAP NetWeaver® family of software applications for use with the Linux® and Microsoft Windows Server® operating systems. 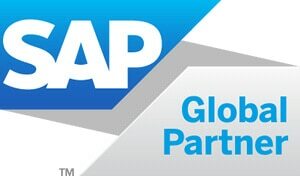 See our industry alliances information on SAP Certifications.